Isaac Clarke is a man with problems. Haunted by an apparition of his dead girlfriend, driven into a deep, deadly dementia and trapped once more on a space station filled with alien mutants, Isaac is a man under the cosh. It’s no surprise that his mind is tearing itself apart at the seams, though, given that he’s being manipulated and hunted by a government agency and a cult of zombie-worshippers who certainly bear no resemblance to Scientologists whatsoever. On the plus side, however, he’s got his voice back. The previously mute Isaac may have woken up in a straitjacket after a three-year cryostasis slumber, but at least he’s no longer gagged. 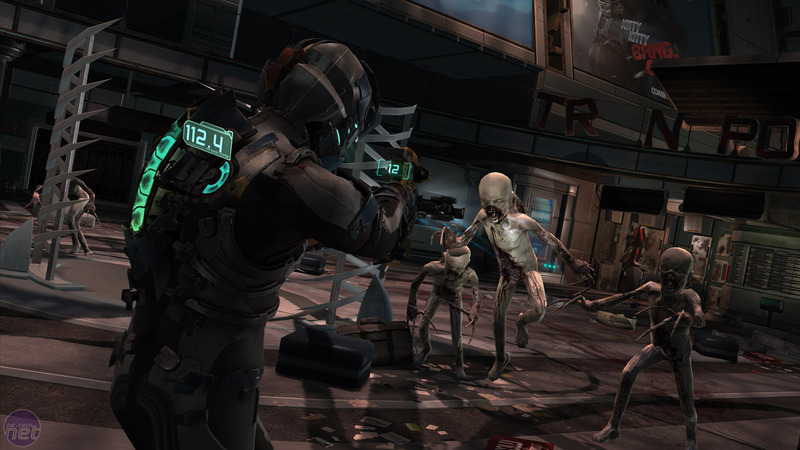 Flying in the face of conventional wisdom, it’s this latter point that’s the most important change Electronic Arts has wrought on the sequel to the favoured 2008 scare-em-up Dead Space. The new Necromorphs, the new weapons, the flying sequences? It’s all much of a muchness; what really matters is that Isaac speaks. I'm gonna blast you to the naughty step! The good news is that EA has managed to resist the urge to turn the beleaguered space engineer into either a gun-toting, gravelly voiced superkiller or a foul-mouthed yob who cusses more than a rapper with a papercut. Instead, Isaac’s voice, tone and personality fit him so well that you’d be forgiven for thinking that he had them in the first game too. Sounding believably frustrated and prone to expel expletives only in the most dramatic situations, Isaac comes across as both suitably downtrodden and sympathetic. On the downside, however, Isaac’s propensity to pipe up does mean that a lot of the mystery and dread which defined the original game has been negated in the sequel. There were times when the silence in the first game felt contrived, but by going the other way the sequel has destroyed much of the horror and intrigue. Isaac is no longer afraid to ask questions of the other characters, nor to dispel tension with a muttered obscenity. This means that players get more answers and less unease than they did the first time around. The scare-factor is then further reduced by a story which, while enjoyable, is often quite predictable in places and regularly relies on you making questionable decisions. For example, you end up automatically following the orders of characters who are obviously not what they seem, and who provide far too little information to justify your faith in them. 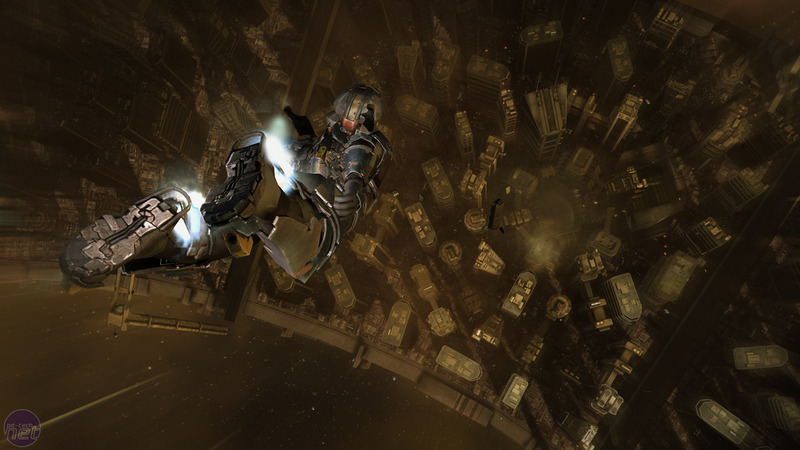 The versatility of Dead Space 2’s structure is what saves it, however. Isaac Clarke’s adventure is no longer a tense psychological horror, but it’s still a gory action romp that will occasionally make you jump. There are still sequences that will have you on the edge of your seat, of course, but these are now the exception rather than the rule, and most of your time is spent gunning down foes rather than quaking in fear at their arrival. Or, to put it another way, Dead Space 2 is more like a brother to Doom 3 than to Resident Evil or Silent Hill – except it’s a prettier and generally much worthier experience. Doom 3 was terrible. A new video has been released to promote Dead Rising 2: Off the Record for Halloween.